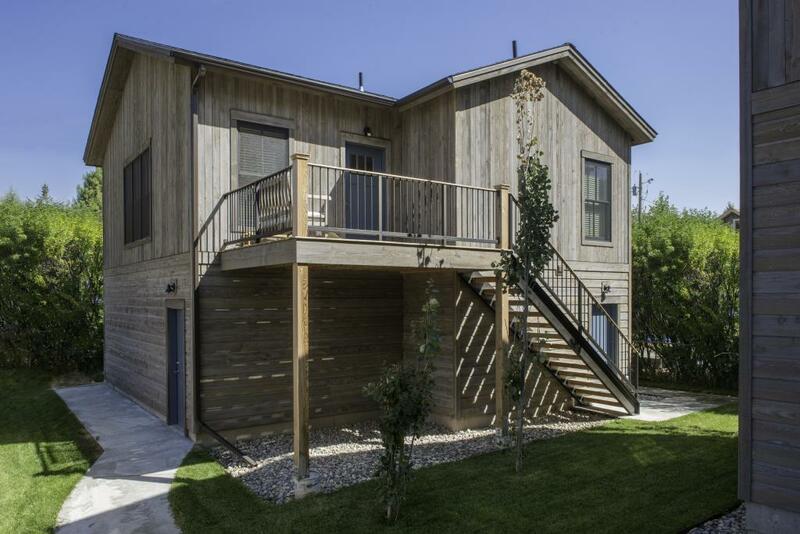 This pleasant Wyoming home feature’s Montana Timber Products prefinished rustic AquaFir™ Slate Grey, Wire Brushed siding, as a vertical Shiplap and horizontal Channel Rustic installation. The homeowner selected a horizontal channel rustic profile on the lower section and a vertical shiplap to the upper level to provide a nice character to his home. AquaFir™ is one of Montana Timber Products’ chemical free, kiln dried, alternative milled rough stock wood products. As an ideal reclaimed lumber alternative, the aesthetically pleasing rustic barn wood AquaFir™ is the result of a environmentally safe texturizing and colorizing process. 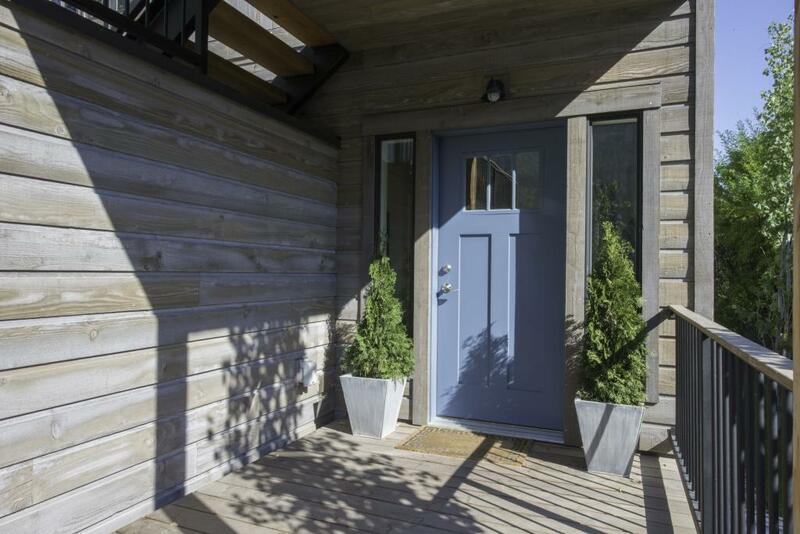 Offering uncompromising natural, rustic beauty, AquaFir™ is typically less expensive than antique reclaimed barnwood. Wire Brushed and Circle Sawn are Montana Timber Products typical texturizing options. Circle Sawn texture seen on Montana Timber Products natural wood siding is created by large circular saw blades used in more traditional milling practices. Added physical and aesthetic depth to the wood grain is available as the Wire Brushed option. Greater surface area is added during the texturizing process, allowing Seal-Once, 100% NO VOC waterfproofer to more effectively penetrate the wood. Seal-Once is guaranteed for ten years from water ingress and is safe for exterior and interior use, pets and children. Wire brush channel rustic siding and dark grey garage trim provides a slight contrast in color and character. If environmentally friendly and the renewable aspect of natural wood siding is important to you, be sure to do your homework when choosing your siding, flooring, interior accents, trim, beams, timbers, or other wood siding products. Some companies choose to use degenerative chemicals to achieve the desired look and texture of rustic wood siding. This is not the case with Montana Timber Products. Vintage wood, reclaimed barn wood and reclaimed barn wood alternatives are very popular building materials due to their aesthetic beauty, traditional look, and chemical free finish.